The images you see on your monitor are made of tiny dots called pixels. At most common resolution settings, a screen displays over a million pixels, and the computer has to decide what to do with every one in order to create an image. To do this, it needs a translator — something to take binary data from the CPU and turn it into a picture you can see. 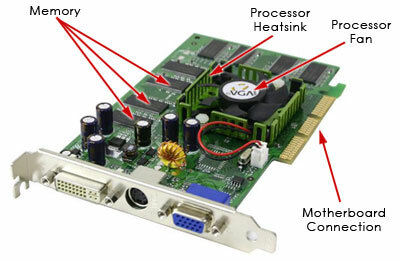 Unless a computer has graphics capability built into the motherboard, that translation takes place on the graphics card. A graphics card’s job is complex, but its principles and components are easy to understand. 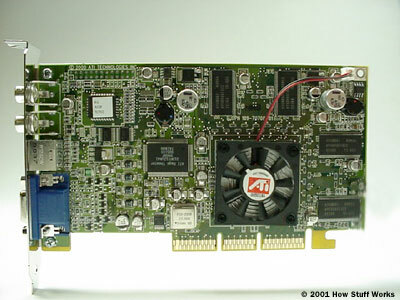 In this article, we will look at the basic parts of a video card and what they do. We’ll also examine the factors that work together to make a fast, efficient graphics card. Think of a computer as a company with its own art department. When people in the company want a piece of artwork, they send a request to the art department. The art department decides how to create the image and then puts it on paper. The end result is that someone’s idea becomes an actual, viewable picture. Next, we’ll look at the processor and memory in more detail. Read the full article over at How Stuff Works.